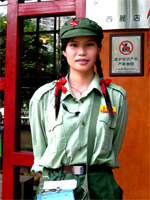 The People's Republic of China is a single party state governed by the Communist Party of China. It exercises jurisdiction over 22 provinces, five autonomous regions, four directly controlled municipalities (Beijing, Tianjin, Shanghai, and Chongqing), and two mostly self-governing special administrative regions (Hong Kong and Macau). Its capital city is Beijing, the PRC also claims Taiwan which is controlled by the Republic of China (ROC), a separate political entity as its 23rd province. MUNICIPALITY (直辖市; zhíxiáshì): is a higher level of city which is directly under the Chinese government, with status equal to that of the provinces. In practice, their political status are higher than common provinces. In June 1954, 11 of the 14 municipalities were reduced to sub-provincial cities; many of them became capitals of the provinces they were in. Only Beijing, Shanghai, and Tianjin remained municipalities, until Chongqing was restored as a municipality in 1997 with a much enlarged area. Tianjin was also temporarily reverted to sub-provincial city status around the 1960s. THE FIRTS MUNICIPALITIES were the 11 cities of Nanjing, Shanghai, Beijing, Tianjin, Qingdao, Chongqing, Xi'an, Guangzhou, Hankou (now part of Wuhan), Shenyang, and Harbin In June 1954, 11 of the 14 municipalities were reduced to sub-provincial cities; many of them became capitals of the provinces they were in. Only Beijing, Shanghai, and Tianjin remained municipalities, until Chongqing was restored as a municipality in 1997 with a much enlarged area. Tianjin was also temporarily reverted to sub-provincial city status around the 1960s. PROVINCE: A standard provincial government is nominally led by a provincial committee, headed by a secretary. The committee secretary is first-in-charge of the province, come in second is the governor of the provincial government. The People's Republic of China claims the island of Taiwan and its surrounding islets, including Penghu, as "Taiwan Province". (Kinmen and the Matsu Islands are claimed by the PRC as part of its Fujian Province. 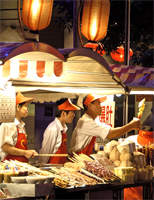 Pratas and Itu Aba are claimed by the PRC as part of Guangdong and Hainan provinces respectively.) The territory is controlled by the Republic of China (ROC, commonly called "Taiwan"). Anhui (安徽) - Hefei (合肥), Fujian (福建) - Fuzhou (福州), Gansu (甘肃) - Lanzhou (兰州), Guangdong (广东) - Guangzhou (广州), Guizhou (贵州) - Guiyang (贵阳), Hainan (海南) - Haikou (海口), Hebei (河北) -Shijiazhuang (石家庄), Heilongjiang (黑龙江) - Harbin (哈尔滨), Henan (河南) - Zhengzhou (郑州), Hubei (湖北) - Wuhan (武汉), Hunan (湖南) - Changsha (长沙), Jiangsu (江苏) - Nanjing (南京), Jiangxi (江西) - Nanchang (南昌), Jilin (吉林) - Changchun (长春), Liaoning (辽宁) - Shenyang (沈阳), Qinghai (青海) - Xining (西宁), Shaanxi (陕西) - Xi'an (西安), Shandong (山东) - Jinan (济南), Shanxi (山西) - Taiyuan (太原), Sichuan (四川) - Chengdu (成都), Yunnan (云南) - Kunming (昆明), Zhejiang (浙江) - Hangzhou (杭州). 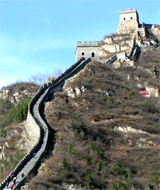 An autonomous region is a first-level administrative subdivision of People's Republic of China. Like Chinese provinces, an autonomous region has its own local government, but an autonomous region theoretically has more legislative rights. An Autonomous Region is a minority entity which has a higher population of a particular minority ethnic group. 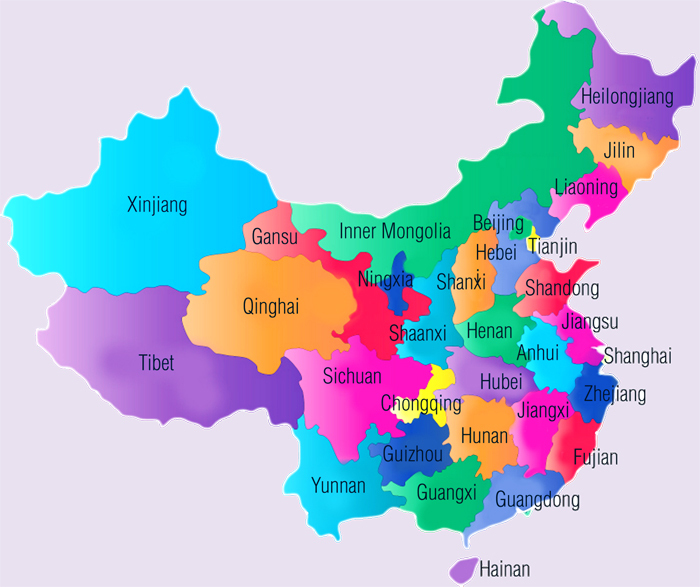 There are five autonomous regions in China: the Uyghurs in Xinjiang, the Mongols in Inner Mongolia, the Tibetans in Tibet, the Hui in Ningxia and the Zhuang in Guangxi. SPECIAL ADMINISTRATIVE REGIONS of the People's Republic of China (SAR) (特別行政區) a highly autonomous and self-governing subnational subject of China under the Central Government. Each SAR has a provincial level chief executive as head of the region and head of government. The region's government is not fully independent, as foreign policy and military defence are the responsibility of the central government, according to the basic laws. Created according to the Article 31 of the 1982 Constitution of China (while the administrative divisions are provided by Article 30 of the Constitution.) Article 31 reads "The state may establish special administrative regions when necessary. The systems to be instituted in special administrative regions shall be prescribed by law enacted by the National People's Congress in the light of the specific conditions". HONG KONG AND MACAU There are two special administrative regions, namely Hong Kong and Macau, which were former British and Portuguese territories respectively. Neither of them is part of any other administrative division. Each of them has a chief executive. Each territory has its Basic Law, and in both basic laws there is an article stating that the territory is a "local administrative region of the People's Republic of China, which shall enjoy a high degree of autonomy and come directly under the Central People's Government.